If only he could do both… Corey Dickerson (OF, PIT) made a conscious change in 2018, trading power for contact. It worked, as his batting average climbed but home run output dropped. He added some steals to boot, and his overall value remained about the same. What should we expect going forward? His trade of power for contact can be clearly observed in the 10 point increase in ct%. However, 2018’s PX/xPX were down for the 4th straight year. HR/F dropped sharply from his previously established above-average rate. xBA supported much of his BA increase, but note than an increase in line drive rate is a tenuous foundation that typically regresses. He increased SBO%, but didn’t overtax it; Spd score supports double-digit SB if he chooses to run. 2nd half PX and xPX surged nicely. HctX increased to his best since 2015. HR/F rebounded closer to previous levels, though FB rate also dropped. Contact gains dipped only slightly. Our current projection of .290 average with 20 HR is well within reach with his current skill set and merely league average HR/F. To achieve more would require that he hold contact gains while recovering lost power, a trick not many can pull off. Even so, his current ADP of 205 make him an affordable choice to boost BA without hurting any other category. Good when healthy, but never healthy... Francisco Cervelli (C, PIT) delivered a career best OPS over 100 games in 2018 en route to an $8 5x5 value. Was this a growth season for the 33-year-old? HR output was supported by improved PX/xPX, his best aside from short 2014 sample. Increase in FB% helped offset below-average hard contact. Plate skills remain a strength, providing a nice BA floor and making him an OBP asset. He has hit RHP better than LHP over the last two years, so he isn’t at risk of short-side platoon role. That said, likely the biggest reason for last season’s success is simply that he was healthy for the first three months, before suffering yet another concussion (his third in two years). He then missed a month and his production fell off sharply afterwards (233 xBA, 74 xPX). This highlights the biggest issue with Cervelli: he gets hurt every year, and he often plays through injury, impacting his performance. 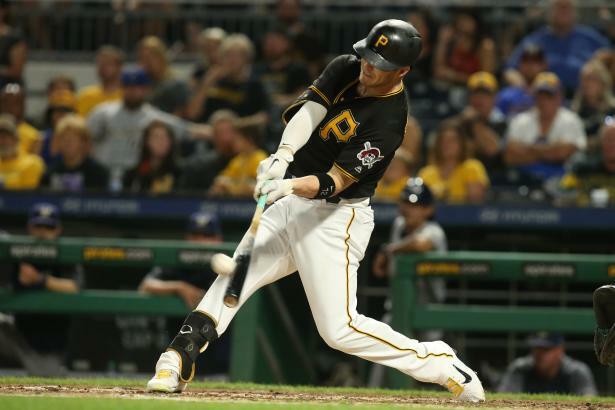 The Pirates experimented with playing him at 1B in 2018, and if they do it again it could be a nice boost to his playing time while limiting wear and tear. But if he’s purely catching, his limited playing time and injury risk make him only worth buying at a discount; don’t pay for a repeat. Back on track... Sam Dyson (RHP, SF) has generally succeeded as a late inning reliever without swing-and-miss stuff by inducing grounders at an elite rate. It worked in three of four seasons, but anyone who owned him in 2017 probably still cringes at his name. He spent 2018 trying to rediscover his sinker, and results suggest he did. Should we trust him going forward? Command recovered to best result since 2015, and both SwK and FPK support results. Groundball rate continued to erode, though it is still elite. Fastball velocity was down for the season and 2 mph below its peak. 2018’s xERA was solid, but somewhat higher than ERA due to that low h% and HR/FB. If Dyson ends up closing games in 2019, he’s a good bet to hold the job. As long as he doesn’t lose the feel for that sinker again, his skills are solid (though not elite). If he struggles, you’ll be able to tell if it’s the same problem returning by looking at how well hitters do against his sinker. LHP love him ... Kyle Schwarber (OF, CHC) hasn’t yet lived up to the potential that earned him a 9D prospect rating back in 2015, instead becoming a solid strong-side platoon bat. In 2018 he provided solid power and improved, if still sub-par, batting average. Can he turn the corner and become a star? His platoon role is well-earned; vL contact rate has been downright awful and vL power below average. 2018’s batting average improvement was due to hit rate regression; xBA remained steady. PX and XPX dropped slightly due to a falling FB rate. On the plus side, HR/F is well established, so his power is still there if he can tap into it. In addition, is walk rate is strong versus both lefties and righties, giving him an OBP floor. At 26, he is young enough to improve with more exposure. For now, the prudent gamble is to bank on something between 2017 and 2018, but with a glimmer of hope that he could become serviceable v. LHP. His worst is excellent... Kenley Jansen (RHP, LA) looked mortal in 2018. While it was still an excellent season, declines in his peripherals resulted in a career low full-season BPV. The impact that his recurring irregular heartbeat may have had is difficult to estimate, but we can see what the numbers say about a possible decline. Dom decrease to career-low was consistent with a career-low SwK rate. Fastball velo dropped by one MPH, although he has pitched to elite results with that velo before. Lucky H% helped to mask subpar (for him) Cmd, particularly in the first half. FpK, while still very good, also marked a decrease. Overall, 2018 (especially the 2nd half) looked most like 2013, which was still an elite year. It is testament to how high his peak was that even with diminished SwK and FpK, signs still point to a BPV that should again approach 200—particularly if we squint hard enough to ignore last year’s first half. The concern would be if there is additional loss of velocity or command, so watch for it in the spring. Failing that (or if you have to draft before then), draft him as a good bet to be a top-five closer once again.